The Kitchen Work Group has been made quite some time ago by the Wireless Power Consortium to be a spearhead to having fully wireless kitchen appliances. 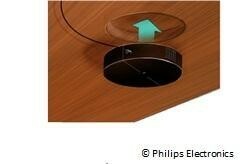 This is currently a concept made by the Wireless Power Consortium (WPC) to have wireless power sources at the place in the house where it’s mostly needed, in the kitchen. Our current mobile devices are gradually implementing wireless charging as its form of recharging itself. The Qi wireless charging standard lets devices be charged up to 5W, yet even though this is currently possible, they do know that the power cord is still there to be dealt with to have a fully wireless experience with our devices. With this in mind, having cordless appliances is also noticed to arrive in the future. 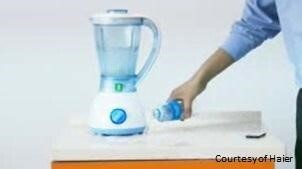 The Haier Group has already started this move with its cordless blender. 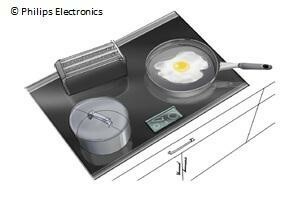 They have made this possible by having an inductive power source placed at the bottom of the kitchen’s countertop. This is what powers the blender to work, the technology used for this is very similar as to how our wireless charging pods currently work for our devices. 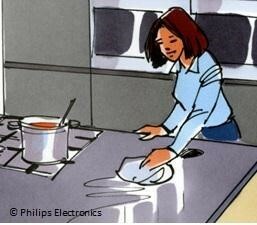 The future that the WPC sees for wireless kitchen appliances falls into cleanliness, safety, and smart features. Having wireless kitchen appliances means that it is possible to forego any open ports and have the appliances all sealed and become waterproof, this makes cleaning the appliances easily done. Also, the sealed wireless kitchen appliances can prove to be safe to use even on wet surfaces, due to having all its electrical components hidden inside. Having it all wireless, even these appliances can be controlled remotely on a mobile device or your computer. This makes the wireless kitchen appliances smart enough to send and receive information from other sources. This supposedly will be available sometime in the near future, but whether its consumers will love the idea of wireless kitchen appliances, will only be known once it comes. What other features do you think the wireless kitchen appliances should have?